As newspaper owners like Newhouse-owned Advance Publications try to stem the cash flowing out of their businesses by shutting down the presses, there are a number of ways to look at their decision. On the one hand, it can be seen as an attempt to manage the much-needed transition from a print-based business to a fully digital one. 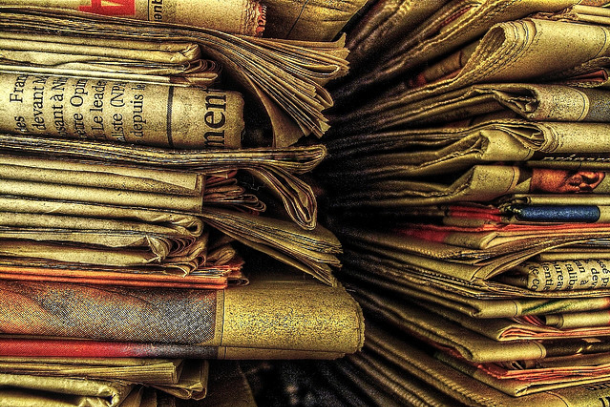 Media analyst Jack Shafer, however, sees it another way: he suspects that many newspaper companies are in the liquidation business — in other words, they are simply squeezing as much value as they possibly can out of their properties before they discard them. As sensible as this may seem from a financial point of view, however, it misses the larger opportunity that the web represents. Shafer’s liquidation idea is based in part on a theory advanced by author Philip Meyer, in a 2004 book called “The Vanishing Newspaper: Saving Journalism in the Information Age.” Meyer described what he called the “squeeze scenario” a newspaper owner might use if they wanted to get out of the business but didn’t want to sell — either because they couldn’t find a buyer or didn’t want to accept a low price. In a nutshell, that owner would jack up the price of his product (as many newspapers have been doing) while at the same time cutting back on the content and the quality of the product by laying off staff, shutting down expensive features like investigative reporting, etc. While this has the short-term effect of improving profit margins for the publisher, Meyer argued that over the longer term this would amount to liquidating the main asset of a newspaper: namely, the goodwill associated with the brand. According to Meyer’s analysis, this goodwill makes up about 80 percent of a newspaper’s overall value — and particularly the value that allows newspapers to attract orders of magnitude more advertising than would normally be dictated by the amount of time that consumers spend reading them, something that was made obvious by a chart that former internet analyst Mary Meeker used in a recent presentation about media advertising. Sellers of newspaper goodwill might protest that the financial losses they’re absorbing constitute a serious investment in the newspaper’s future, that they’re harvesting nothing. But don’t be fooled. If you’re winding your company down with no strategy to wind it up, you’re burning goodwill even if you don’t acknowledge it. Liquidating a company in this fashion is something that professional “vulture fund” investors often do in damaged industries (such as the railway business, the traditional telecom industry, and so on). That is, they acquire assets cheaply and then squeeze as much value out of them as possible until they are virtually worthless. In fact, it’s the kind of thing that investors like Berkshire Hathaway billionaire Warren Buffett are very good at — which raises questions about what Buffett’s long-term strategy is in buying newspapers. He claims that he is committed to the industry for the long haul, but what exactly does he mean by that? One of the things that makes it hard to cheer for Buffett, or for Advance Publications — unless you are a die-hard devotee of print for print’s sake, of course — is that neither has advanced a plausible strategy for making the transition from print to digital. Buffett has said that he doesn’t see the point in shutting down the printing presses a few days a week, as both Advance and Canada’s Postmedia are doing, and in fact he sees this is a step backward. So then what is his strategy for moving his community newspapers online as print declines? Advance, meanwhile, has said that it plans to invest more in digital as it cuts back on staff and stops printing every day. But those promises have been noticeably vague, and the evidence from places like Ann Arbor and Seattle — both of which lost their daily newspaper in recent years — doesn’t exactly fill anyone with confidence. One of the prominent themes in criticisms of Advance from people like actor and New Orleans resident Harry Shearer is that Nola.com, the company’s online portal, is lackluster at best and embarrassing at worst when it comes to doing actual journalism. But the bottom line is that without some kind of strategy, as I tried to point out in a recent post, an online newspaper becomes simply another voice among thousands of other digital information sources — and that too will result in the eventual liquidation of goodwill, whether its owner wants to admit it or not. 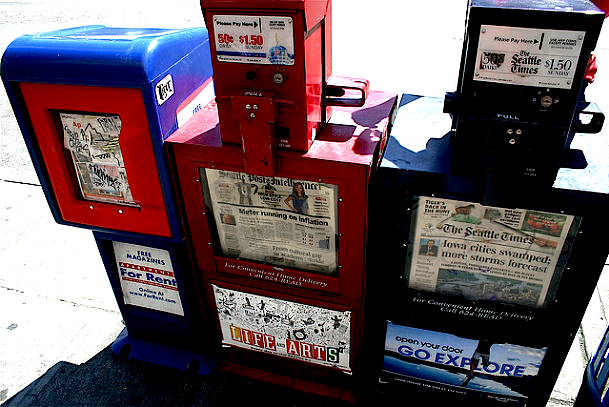 Paton’s Denver Post is eliminating its copy desk. Not reducing it — eliminating it. One of the key differences between newspapers and most other web sites is a dedication to accuracy and other journalistic standards. If getting rid of journalistic quality control is part of a “best-case scenario” for newspapers, these are indeed dark times. I hate when people get overly complimentary in the comments, but another good one here Mathew. I think you may be remebered (among other things I’m sure) as the guy who chronicled the death of print on the web. I cannot speak to Advance’s strategy – though it is clear with their move to bring Andrew Siegel on board they are very much looking to invest in digital – but this is the typical innovator’s dilemma and too be honest, if I were a major print owner, I would probably be squeezing every penny out of print that I could. The generation that still pays for print is set in their ways, so while they certainly won’t be happy with it, habitual purchasing is hard to break out of, so they will probably keep buying. From here, I can’t imagine there is an argument in any internal conversation at most of these print behemoths about whether or not the future is digital. My guess is where the big differences lie is whether or not these guys want to try to play in “journalism” online or whether they would rather invest in other digital businesses that are clearly profitable. Many of these co’s (Gannet, Advance, News Corp, etc.) have invested in digital co’s, even in those focusing on local marketing, but most don’t look like online newspapers. Unfortunately for old-school publishers, everyone is now a publisher and the old definition of “journalism” has not proven to be something consumers are willing to pay for online or something that is a particularly effective vehicle to sell advertising against in digital formats. Most of the successful news’papers’ of today have already turned into a digital company serving many dishes other than hard news and journalistic opinion. Some have different payment models while others sustain themselves on affiliations and display ads, besides numerous schemes / promotions / link ads / etc etc running on the website. They seem to have learnt in time that by the time the next day’s ‘paper’ is out, the news that it has has already become half extinct. I think that the term “newspaper” is dead and the longer we keep referring to these news media companies as “newspapers,” the more it appears that they are in this ridiculous liquidation mode. The fact is that companies like Advance are trying to modify themselves from companies that once produced print products and made enormous profits to companies that will actually have a shot at remaining important parts of their communities long after print is gone. The writing is on the wall.. or the blog. Print is going away and nothing is going to stop it. If these companies wish to survive, they need to reinvent themselves as something that will work in a digital world where profits are much smaller and competition much greater. Many people lament the changes occurring at these organizations – that their losing their daily paper. Unfortunately, the financial reality is that printing everyday is no longer sustainable. These companies are trying to reinvent themselves before it’s too late, not liquidate themselves. Once upon a time it would have been strange to think of a newspaper that doesn’t print a thing but it looks like this is a real possiblity here.